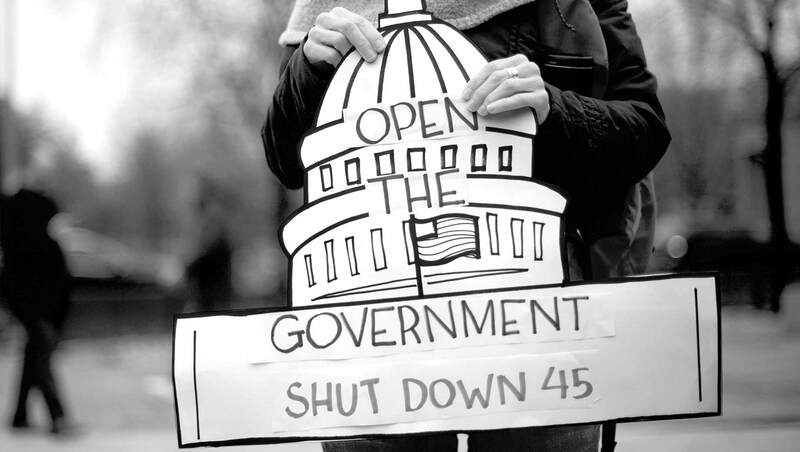 WASHINGTON, D.C. -- As the federal government continues the longest shutdown in its history, Americans are most likely to cite "the government/poor leadership" (29%) as the most important problem facing the country. In fact, January saw a 10-percentage-point increase from December in views of government as the most important problem. The second-most-frequently mentioned problem is immigration -- at 21%, a rate notably higher than December's 16%, and coinciding with the controversy over plans to extend the physical barrier on the nation's Southern border. Despite a volatile stock market in past weeks, economic issues received less concern from Americans as the most important problem. While 3% mention the economy by name, a total of 14% of Americans overall cite economic problems. January mentions of economic problems are among the lowest Gallup has ever measured, dating back to 1939. The last time 50% of Americans cited economy-related issues as the most important problem was May 2014. Most Americans remain unsatisfied with the way things are going in the United States. About one in four (26%) say they are satisfied, down from 31% in December and 35% in November. This month saw a six-point increase in the percentage of those saying they are dissatisfied, bringing the total to 72%, the highest since November 2017. Highly educated respondents express lower degrees of satisfaction. For example, 19% of those with postgraduate education and 21% of those with a college education express satisfaction. Meanwhile, 30% of those with a high school education or less are satisfied. However, the starkest differences in levels of satisfaction among Americans are across partisan lines, with Republicans (54%) far more likely than independents (24%) or Democrats (8%) to be satisfied with how things are going in the country. Measuring the level of dissatisfaction about the way things are going in the U.S. at a more granular level, Gallup asked respondents the degree to which they are either satisfied or dissatisfied. Overall, 7% of Americans are very satisfied, 19% somewhat satisfied, 26% somewhat dissatisfied and 46% very dissatisfied. The percentage very dissatisfied is on the higher end of what Gallup has measured over the past 25 years, but it has been as high as 57%, in October 2011. There is an important disparity in satisfaction levels by gender. A slim majority of women express that they are very dissatisfied with how things are going in the United States, while fewer than four in 10 men are very dissatisfied. Are you very [satisfied/dissatisfied], or just somewhat [satisfied/dissatisfied]? With the current government shutdown reaching a record length, half of Americans see either the government or immigration policy -- the issue at the root of the shutdown -- as the nation's top problem. Thus, whether Americans side with the Democrats or Republicans on the political showdown, a large segment of the country considers the issues at stake to be momentous. Most Americans continue to express dissatisfaction with the way things are going in the country. The last time a majority of Americans were satisfied was in 2004. While most Republicans remain satisfied, independents and Democrats are far less likely to be. Finally, most women say they are very dissatisfied with how things are going in the country. Americans' have a fairly positive view of where the nation is heading in 2019 economically, even as they foresee political discord at home and abroad.